Perhaps the finest riding private car, it features a full kitchen, bar and exceptional viewing from the lounge. The master room has a double bed and its own shower. Other sleeping accomodations share a second shower. The large lounge is designed for both business and family travel. 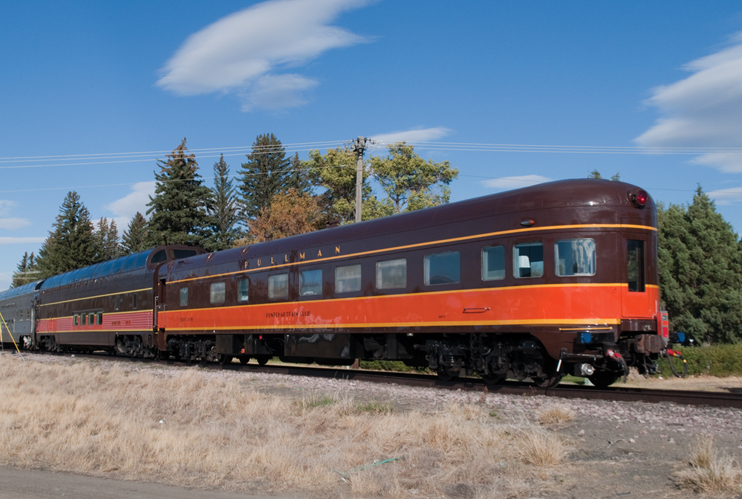 Built in 1917 as an 88-seat coach for the IC, Burnside Shops rebuilt it and the other cars into a round-ended configuration for service on the Green Diamond and finally on the Panama Ltd. It was named Mark Beaubien, after a rather colorful Detroit Frenchman who was a founder of the City of Chicago. In 1971, it became an instruction car and was sold in 1986 to Ben Baker of the JT Eaton Company and renamed Eaton. It was purchased in 2011 by Iowa Pacific Holdings who changed its name to Pontchartrain Club.